We are a family-owned, first-generation business. Established in 2014, and Beekeeping since 2008. We are a married couple that loves beekeeping. Travis Bolton grew up on a farm in Northern Minnesota. He got his undergraduate degree in Fisheries and Wildlife from the U of M. He has owned his own remodeling company (Bolton Construction) since 2007. He plays lead guitar in a popular original Twin Cities band called Tree Party. Chiara Bolton has her Masters in Public Healthcare Administration and Policy from the U of M and a Masters in International Relations from the University of San Francisco. She has lived in China for over 5 years and can speak Mandarin, Chinese. She has done extensive work with the aging population in Minnesota and continues to stay involved. Our goal is to be a source of local bees and location-specific Honey within the Midwest Region. Bees develop traits according to their surroundings. Here in Minnesota, we non-migratory beekeepers need our bees to survive the long cold winters. The bees we sell have undergone a rigorous selection process-- creating Queens that are Minnesota-hardy, hygienic, and pleasantly tempered. They produce high honey yields and have low mite loads. We locate our apiaries in carefully selected properties throughout Minnesota, each of which offers a diverse range of natural healthy food sources. This makes our honey delicious and helps our bees avoid systemic pesticides (Read about us in Farm Show). We have practiced our trade all over the world. Beekeeping is both uniquely local and absolutely global. Chiara worked on a rural economic development beekeeping project near the Tibetan Plateau in rural Yunnan, China. We have worked with bees in the mountain jungles of Guerrero on the Southwestern edge of Mexico. We also work with a commercial Queen breeder in Southeast Texas during the Minnesota winter. We have seen first-hand how location can dramatically affect bees' genetics. Although each location where we have worked involves the same species of bees (Apis Malifera), the unique climate, flora, and fauna cause the bees to adapt, creating different characteristics in each. 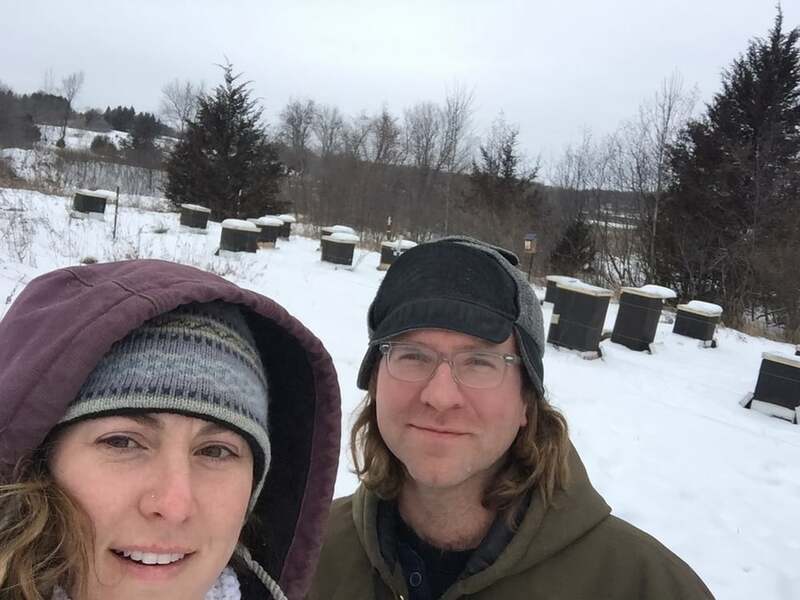 Our bees are winter-hardy Minnesota bees, bred specifically for the conditions of the Upper Midwest.